Used in schools and by parents all over the world! This app is now promoted by the Australian Institute for Teaching and School Leadership as an effective app for learning number sequencing techniques! 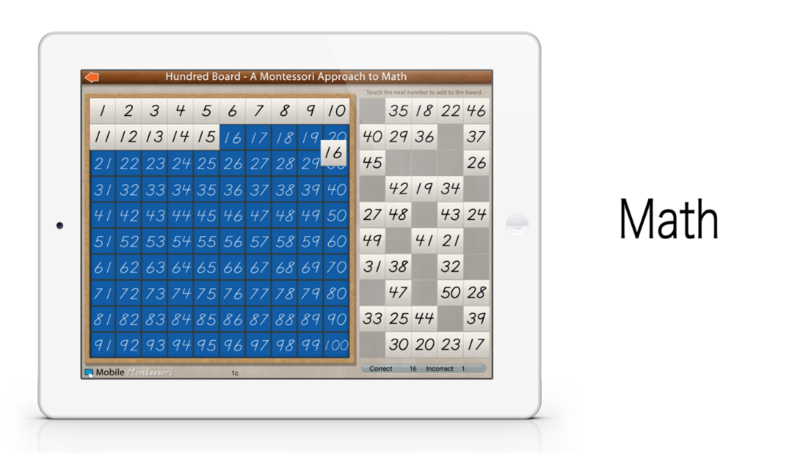 The Hundred Board app is a fun and educational exercise found in the Montessori classroom to help children with their counting from 1 to 100. The board and the number squares are exact replicas of these classic classroom materials! 1. Standard sequencing from 1 to 100. The child has to search for the next appropriate number in the scrambled numbers on the right side. When they choose the correct one the number will automatically move into position on the board. You'll be pleasantly surprised at how long it takes to finish! At the bottom a score is presented for parents to observe how their child is progressing. This activity is a time-tested, teaching tool used in the Montessori classroom that children enjoy doing. 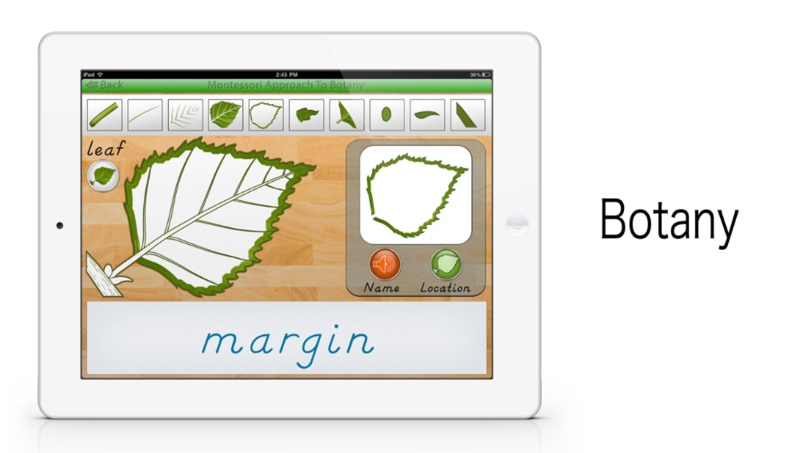 The app itself was co-developed and approved by an AMI certified Montessori teacher with over forty years experience. Use this app as a complement to your child's classroom education and as a follow-up to the other Montessori applications in the app store teaching introductory math! Your child will enjoy this challenging and fun activity! "This looks very simple, but, you'd be surprised how engrossing the children find this lesson to be. I've watched our five year old daughter spend over an hour working with it, trying to get to a hundred!" "Our son (6) started first grade and is ecstatic to be the only kid to write all the numbers from 1-100! Your app is fun to him!" The movable alphabet allows children to express themselves with words and phrases prior to mastering the skill to write with paper and pencil! One unique feature in this app, are the buttons in the box above each letter. Children can touch the buttons to hear the sound of the letters, giving them the ability to, "search" for the sound they are thinking of to build their word! You will appreciate the simple format without distractions and gimmicks! 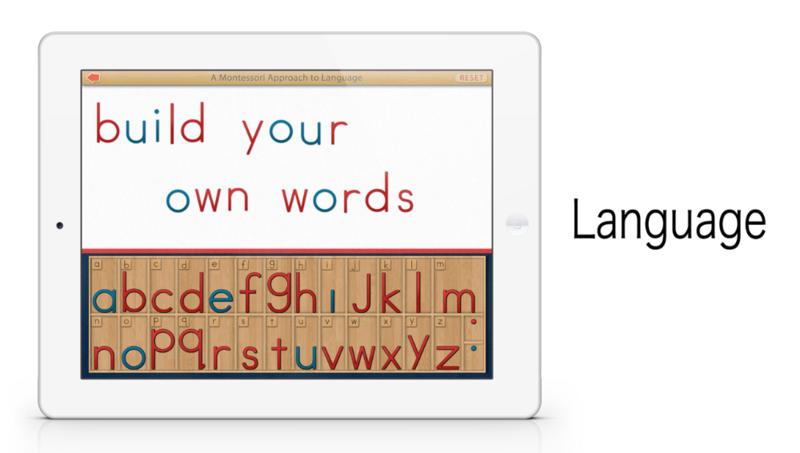 This app was developed and approved by a Montessori teacher with over 40 years experience teaching children. "Love the clean, simple design of this app!" "A review from one of our customers: Thank you for creating this wonderful app. My second son was so happy because he is now starting to read. However, this app needs adult supervision. I love it because this is my bonding time with my sons". In Lesson #1 learn the parts and names of the different plants including a leaf, tree and flower. Learn the parts and names of different vertebrate animals. This app nicely complements the animal puzzles used in the Montessori Classroom! In Lesson #1 learn the parts and names of the different vertebrate animals. Touch an animal part in the photo-strip to change the featured animal part on the page. Touch the speaker button to hear the correct pronunciation of the animal part and touch the location button to see the animal part highlighted on the diagram! In the first animal puzzle lesson, children have to look for the animal puzzle piece that is blinking on the diagram. When they touch the correct piece it will move into position on the diagram and the name of the part can be heard aloud. In the second animal puzzle lesson, children have to look for the animal puzzle piece that corresponds to the name shown at the top. For children who cannot read, the animal part name at the top can be touched to hear the name aloud for them to know which one to look for. A Montessori Approach to learning about prehistoric animals. This app will teach your child to identify and name the animals! Little activities like this are found in Montessori classrooms to help children increase their vocabulary! Learn the parts and names of the Human Body. In Lesson #1 learn the parts and names of the different human body parts. Select a human body from the cards shown. Touch the speaker button to hear the correct pronunciation of the human body part. In Lessons #2 & #3 assemble the human body. In the first human body puzzle, look for the body part puzzle piece that is blinking on the diagram. Place the part on the diagram and the name of the part will be heard aloud. In the second human body puzzle, look for the body part puzzle piece that corresponds to the name shown at the bottom. For children who cannot read, the body part name at the bottom can be touched to hear the name aloud, so they know which one to look for. Introducing the first in a series of apps that will help children and adults learn about the animals of each continent and help raise awareness of endangered species! This app features the animals of Africa. You will learn where each animal lives on the African continent, several facts about each animal, and their current conservation status. Touch an animal in the photo-strip to change the featured animal on the page. Touch the Map button to see the animal's habitat highlighted on the map. Touch the Speaker button to hear the correct pronunciation of the animal name. Touch the Definition button to see and hear a detailed description of the animal as well as the Animal Facts box, containing dimensions, weight and conservation information. A list of Conservation definitions can be seen by touching the button on the top bar. In the first habitat map lesson children have to look for the animal that corresponds to the name shown at the top, as well as, the habitat shown on the map. When they touch the correct animal card, a representative animal shape will transfer to the map as the name of the animal is heard aloud. In the second habitat map lesson children have to look for the animal that corresponds to the shown habitat only! This is more challenging, however, you will be pleasantly surprised how fast you will learn to memorize the animal habitats! In Lesson #4 drag and place the animal puzzle pieces to the map. The locations correspond to their habitat and the name of the animal is heard aloud when it is placed correctly. This app was designed to help young children to both visualize and identify the planets in our solar system! Children will not only learn to identify the planets, but, will learn their location, size, orbit time, temperature, composition and more! All data is presented with accompanying audio so even children who cannot read will learn! Children love big numbers, and there are plenty in this app! The Information Center contains informative data on each planet. The solar system is shown to scale for children to be able to visualize the planet distances from the sun, as well as, their relative sizes! The Planet Sizes activity allows children to drag the planets across the screen to get a feel for their relative sizes and learn the order of the planets. Each planet will "snap" into place and it's name will be heard aloud when it is dragged to the correct position. The Planet Orbits activity allows children to observe the relative speeds of orbit for each planet in proportion to Earth. The Planet Card Matching activity contains the famous Three-Part Card System used in Montessori Classrooms. Children can drag the picture cards and labels to match them up to the control cards at the top. Thank you for supporting our Montessori applications! Contact us with your comments and questions using our online form or by sending us an email directly to: info@mobilemontessori.org.